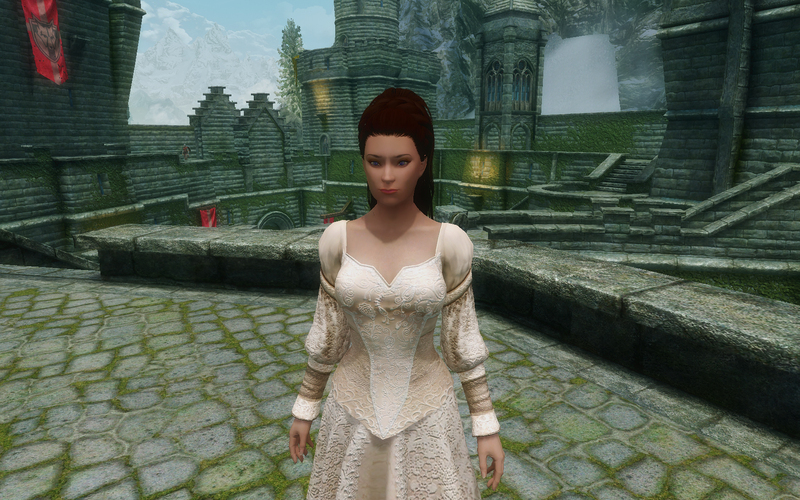 Reworked, and fixed version of Noble Wedding Dress. First person View for ALL dresses, and fans. Textures are optimized and compressed to 1024x1024 for performance rigs. Better, corrected Versions of ShinglesCat's with added Shoes and fans to match. Thank you for keeping this mod around! 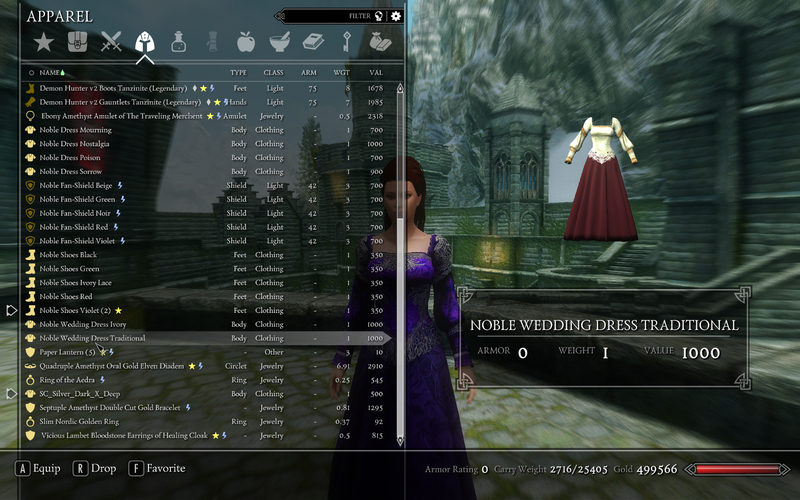 The dresses are fantastic! 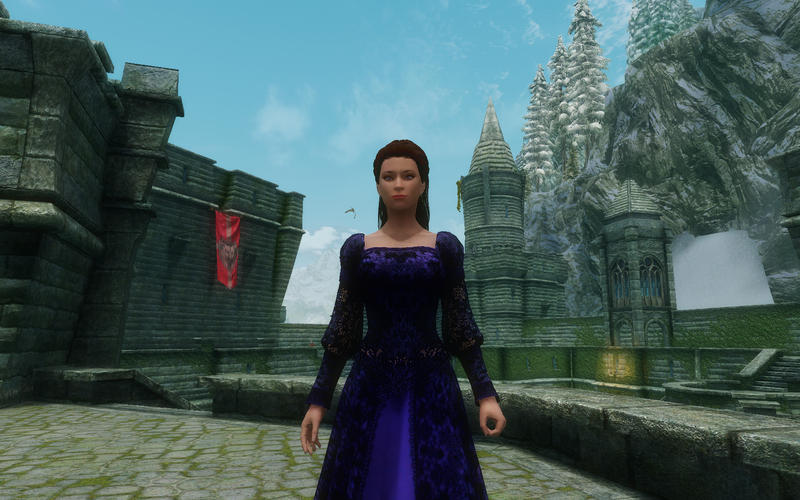 What a delight to find that someone took the time to re-upload these lovely dresses after the mod author's unfortunate choice to hide them because of "stupid messages". *eye-roll* What a child. Thank you kind sir or madam! Thanks for reuping (and fixing woo)~! I hate authors that have to be such drama queens e__e"
Absolutely stunning! 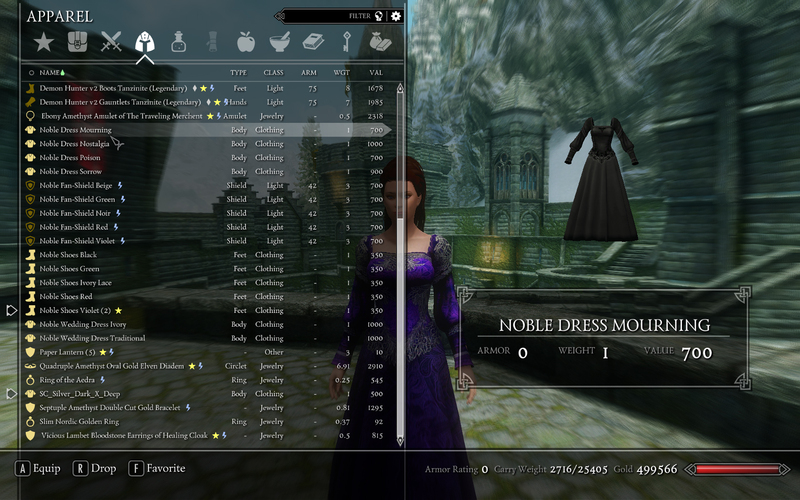 Nice to see that someone's keeping these beautiful dresses alive and up to date! Great job :D! I looked high and low for this "lost" gem. Now, to not only find it, but that it has been worked upon and greatly improved, this has truly been a long time waiting!